The sad thing about HBO original films is that they air pretty quick and without notice, then are scarcely heard from again, despite having really good stories and production design to boast, with no theatrical crowd to ever share them with. 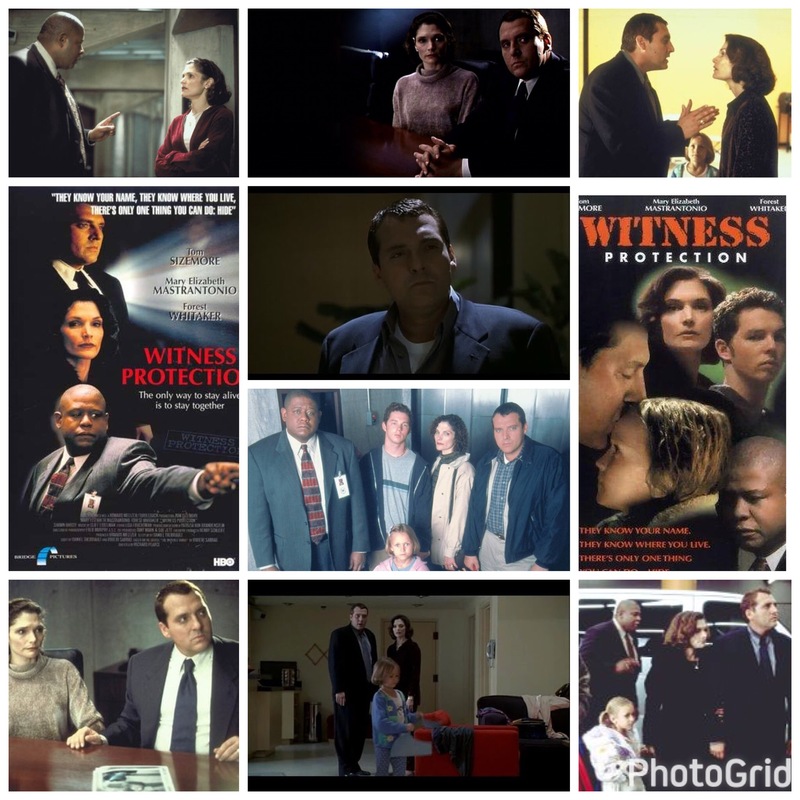 Witness Protection is one among many of these, a brilliant, surprisingly thoughtful mobster melodrama starring Tom Sizemore in a rare and commanding lead role. He plays Boston area gangster Bobby ‘Bats’ Batton here, a wiseguy who gets a rude awakening one night when a violent attempt is made on his life by rival crime factions, striking at home while his family are there. His lifestyle has inadvertently put those he loves in danger and now there are consequences, as grimly outlined by Forest Whitaker’s sympathetic FBI agent. Bobby, his wife (Mary Elizabeth Mastrantonio is so great, why isn’t she in stuff anymore? ), son (Shawn Hatosy) and young daughter (Sky McCole Bartusiak, who famously died young a few years ago) are relocated into the witness protection program run by the Feds, given new identities, their lives uprooted and their future uncertain. Now, I searched for this film for years (it’s near impossible to find) thinking there’d be some kind of actuon intrigue angle, a few gunfights as his enemies tracked him down, but such is not the case. This is a mature film, a meditation on what it takes to change who we are when our choices endanger the lives of those we are supposed to protect. Bobby is a man of violence who grew up in a certain way, and he has transformed that into his livelihood. But it’s also a risky creed to cling to, and eventually a line is crossed, the line between balancing a chaotic life, or letting it run away from you. He’s forced to change, to show honesty and the will power to go straight, and this causes intense strain on the relationships with each of his family members, both individually and as a group. It’s equal parts fascinating, heartbreaking and hopeful to see a family go from one extreme to the other, and every facet of the situation is explored in a script that feels authentic and unforced. Sizemore and Mastrantonio deliver powerhouse work that stuns and stings, inhabiting uncomfortable moments of personal anguish with gravity to spare. This one isn’t your typical crime drama, and is all the better for it.